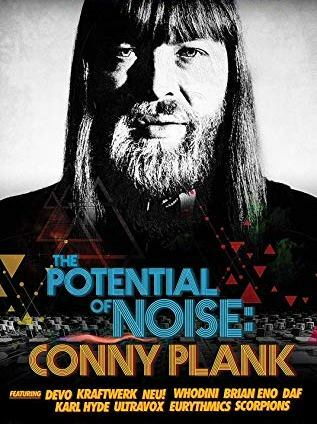 ‘The Potential Of Noise’ is a touching insight into the late Conny Plank, undoubtedly one of the most innovative and important studio exponents in popular music. Directed by his son Stephan with Reto Caduff, the film sees him embarking on a journey to rediscover his father’s impact and his importance in music history. As the studio in the converted farmhouse in Wolperath, half an hour’s drive from Cologne, was also the family home, Stephan grew up around the artists who his father worked with. John Foxx is one artist who considers Conny Plank to be the most important record producer since George Martin, having recorded ULTRAVOX’s ‘Systems Of Romance’ album with him in 1978. 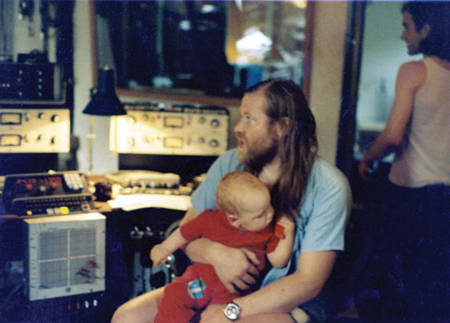 The Electricity Club also has spoken to a number of the musicians who Conny Plank worked with and all had nothing but affectionate memories of him. With such compliments, any film featuring prominent figures such as Midge Ure, Daniel Miller and David A Stewart recounting their memories of working with Conny Plank was likely to be fascinating. But for his son Stephan who was only 13 years old when Plank passed away in December 1987, this bittersweet film has been a journey to understand more about his father while confronting his demons of being neglected. The key to Plank’s success was undoubtedly his personality rather than his actual technique and his ability to get the best out of the people, something he felt he wouldn’t be able to do working with David Bowie or U2. Today, Plank’s custom hand-built 56 channel mixing desk is owned by David M Allen, another producer known for his warm outlook and gift for providing an environment for artists to excel. For those who perhaps only know Plank’s work through KRAFTWERK and ULTRAVOX, the soundtrack that accompanies ‘The Potential Of Noise’ is an education, with the instrumental music of NEU! and CLUSTER & ENO being particularly effective. Among the interviewees are the late Holger Czukay, Hans-Joachim Roedelius, Michael Rother, Robert Görl, Karl Hyde, Jaz Coleman, Annette Humpe, Gianna Nannini and many more. 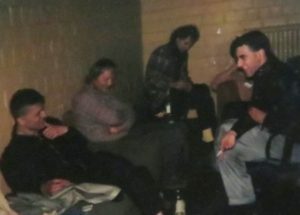 Daniel Miller describes Plank’s work as experimental but still musical, while Robert Görl and Annette Humpe recall how Plank was particularly good at capturing the right mood for recording with “no rules”. And while Plank only produced the debut EURYTHMICS album ‘In The Garden’, David A Stewart applied that hippy with technology philosophy to their breakthrough second album ‘Sweet Dreams (Are Made Of This)’, mixing electronics with brass in a converted church studio. Although recorded at RAK Studios in London, Midge Ure remembers after playing the demo of ‘Vienna’, ULTRAVOX talked musically about the plans for recording while Plank thought in terms of sound; he imagined an old man at a piano in a desolate theatre who had been playing the same tune for forty years. And when Billy Currie came to record his ivory parts, that was exactly the feel which Plank had engineered for the now iconic track. For Plank, money and tapes were things that passed through his life, but his generosity is apparent throughout this documentary, both financially and in spirit. Michael Rother talks of how Plank helped to fund the recording of the first NEU! album to ensure that the duo had as much independence as possible to create, while it is also known he had offered to finance the recording of the first Midge Ure fronted ULTRAVOX album before the band signed to Chrysalis Records. 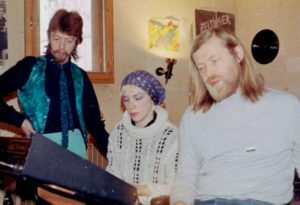 The most emotional recollections of Conny Plank come from hip-hop duo WHODINI who consider Conny’s Studio to be the best facility that they have ever recorded in, while also glowing about the effort which Plank made towards providing a recording environment that was as comfortable as possible, something the pair never experienced again after that visit to Germany. But despite the generosity to his artists, the film tells of how Plank was not exactly the perfect father to Stephan, with Holger Czukay remembering that Plank treated Stephan as Christa Fast’s son, rather than his own. It’s a point also highlighted by Annette Humpe who tellingly, actually asks Stephan on camera whether his father ever took him out into the countryside; it turned out he did… but for just one afternoon. Resigned to the fact that few photos exist of them together, Stephan reflects that the best memento of his father now is his vast catalogue of work. Plank’s own end is sad, with him becoming too ill to mix EURYTHMICS ‘Revenge’ album following returning from a concert tour in South America with Dieter Moebius. Despite Christa nursing him back to near health with a new diet regime, Plank’s need to work ultimately consumed him and worsened his condition, eventually leading to the cancer to which he succumbed to. The film concludes with Stephan taking his own young family to Wolperath to see his former home, reminiscing about the bathroom where the gold and platinum discs used to hang, as well as the dining area where the family and the visiting artists used to sit. With the final words of the documentary, Midge Ure summarises that the music Plank made was timeless and ultimately outlived him. Described by KILLING JOKE’s Jaz Coleman as “a revolutionary”, when the end credits roll of ‘The Potential Of Noise’, it’s rather appropriately to the proto-punk of ‘Hero’ by NEU!